Sequential Circus is a bi-annual live PA multimedia showcase featuring visual and performing artists at Open Studios. Snow flurries and bad weather did nothing to deter the crowd of live electronic music fans who gathered to enjoy the sights and sounds of novice and veteran artists alike. DOPE HAUS correspondent Adam Schmidt braved the storm down the shallow part of Main Street to chat with performers Kimlett and Dark Arps. Too many people are rain dancing at the wrong time of the year. Seriously, tone down your boogying while it’s cold outside. This would explain why the flakey precipitation persisted into the late hours of Sequential Circus 20 on February 4th. Once inside and past the smiling faces at coat check, it took a moment to take in the view. 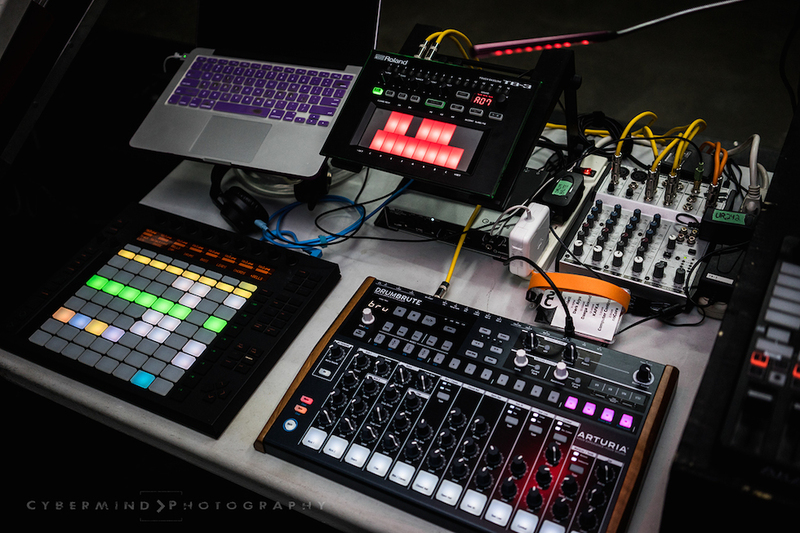 The stage was decked out with all sorts of mysterious gadgetry and high-tech machines. It looked like a prop demo for the producers of the next Alien movie. There were no CDJs, and all the Macs looked like well-chosen accessories. “Hoo, man. This is gonna be special,” I thought; an understatement. Kimlett, the evening’s opening performer, clarified the purpose of these instruments for me, “[Sequential Circus] is a showcase of live PA. There’s no DJs, nothing’s pre-recorded.” Kimlett has been an organizer with Sequential Circus since the 3rd iteration but tonight is her first time performing on stage as an artist. “For each [Circus] the opener has to be somebody who’s never played out before, like a bedroom producer,” she explained. 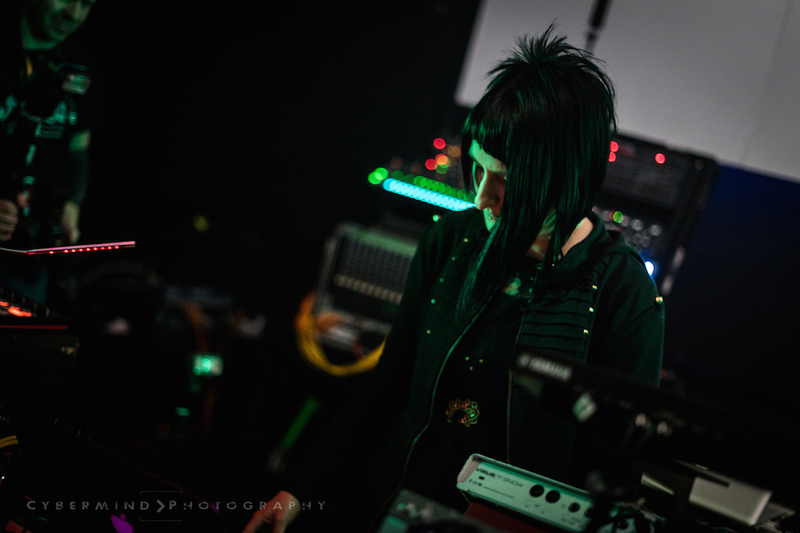 After breaking her foot rock climbing, Kim had a year off of work and decided to pick up electronic music production to keep herself busy and that investment showed. Her feel-good, nostalgic and occasionally chiptune samples were well made and attentively prepped. For those who were not fortunate enough to witness the Audioship in action, I recommend checking out Jon’s Facebook page, where he hosts his technotuesday live videos. 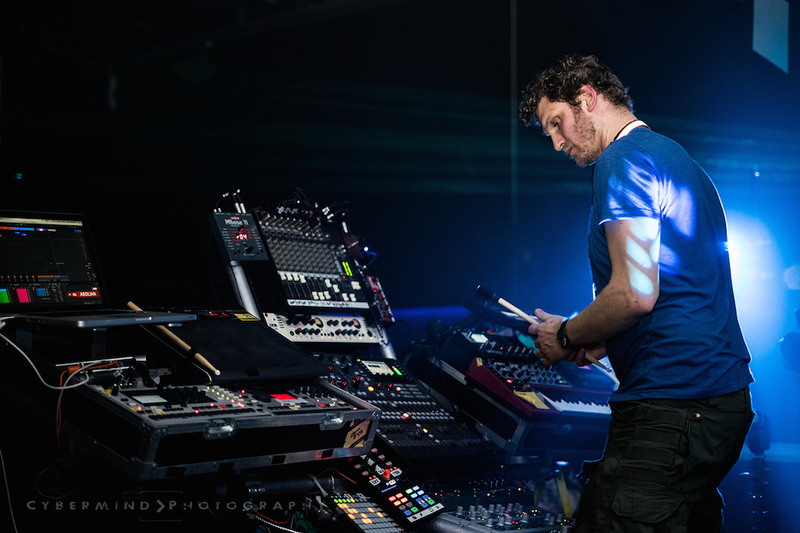 As is the case for most musicians, it took many years of practice for Jon to be able to improvise an entire set. After attending university in the UK, he helped form a 10 piece drum n bass band called Keiretsu that toured the UK for the better part of a decade, but once the band had run its course, Jon shipped his life to Vancouver to help CBC cover the impending 2010 Olympics. These thoughts floated around in my grinning, earplugged head as I grooved to the low frequencies of Daega Sound: an analog duo who once played at the first Sequential Circus followed by Computer Controlled and noCore, who performed at the end of the night. Sequential Circus is doing an extraordinary job bringing Live PA to Vancouver. This practice, with its close ties to expensive analog gear and performance software, is one naturally filled by experienced musicians. 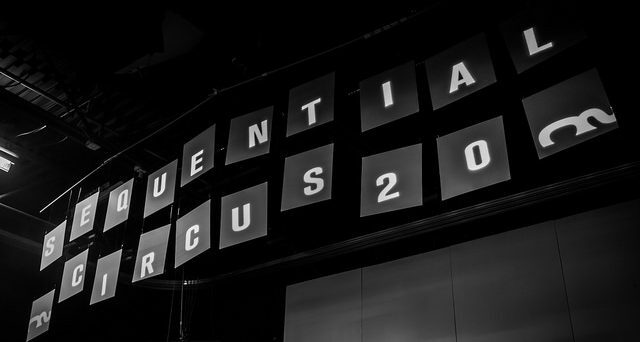 By keeping spots open for new performers, Sequential Circus is encouraging producers to further dedicate themselves to their music, a quality that can’t be easily associated with the average DJed event.